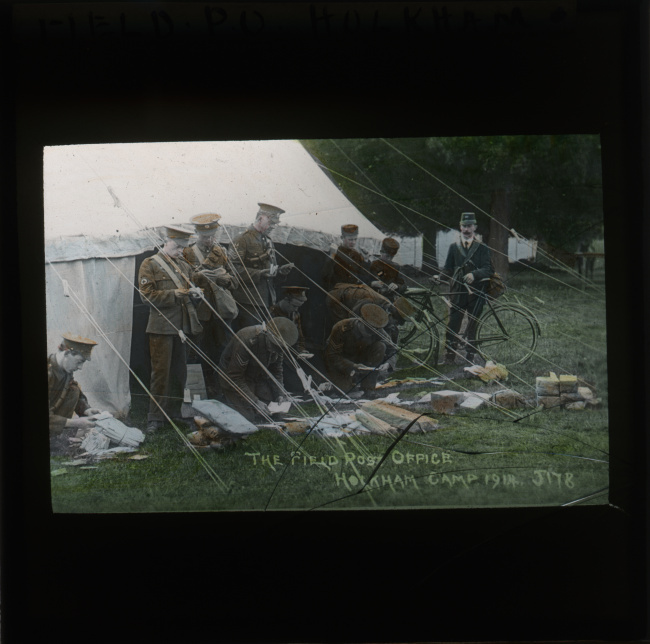 An outdoor portrait of the 9th Training Battalion at Perham Downs, Wiltshire. Victorian optician Gordon Heathcote from Kew is seated on the far left, sporting his new Corporal stripes he earned in England. Cpl Gordon Roy Heathcote, 24th Company Australian Machine Gun Corps. Cpl Gordon Roy Heathcote was an optician of Kew in Victoria. Single, twenty-three years old and living with his parents comfortably in Melbourne’s inner eastern suburbs, he enlisted in August and set sail from Melbourne on 20 October 1916. 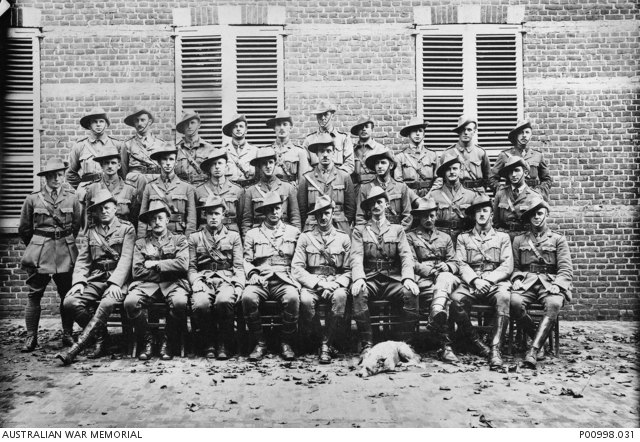 Seated on the left above, the machine gun is not just a prop for the photo – this optician had landed as a non-commissioned officer in an Australian Army Machine Gun Corps. Single, living with his parents comfortably in Melbourne’s suburbs. he enlisted in August and left Melbourne on 20 October 1916. In was promoted to Corporal while in England and completed his physical and bayonet training courses there before landing in France in September 1917. He was killed in action just short of a year after leaving his in Melbourne, dying on 16 October 1917 in Belgium. The soldier standing behind Gordon with his arm reached onto his shoulder is, Frederick Benedict (Ted) Alsop, who died the next day on the 17 October 1917. 2nd Lt George Stanley McIlroy, 24th Battalion, of South Melbourne. 24th Battalion, of South Melbourne. An optician prior to enlistment, he was awarded the Military Cross, “for conspicuous ability and gallantry as a Company Commander throughout the operations in France from 26 March 1916. He looks well after his men and has set them a fine example of soldierly endurance under heavy shell fire at Pozieres. His Company has done excellent work throughout, and this is due in great part to the powers of leadership developed by Captain McIlroy”. 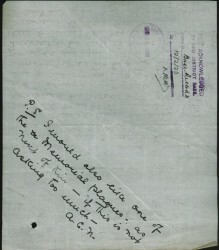 Due to illness, he returned to Australia on 17 March 1917. Lt Arthur Douglas Hogan, 21st Battalion from Lewisham, NSW. 21st Battalion from Lewisham, NSW. 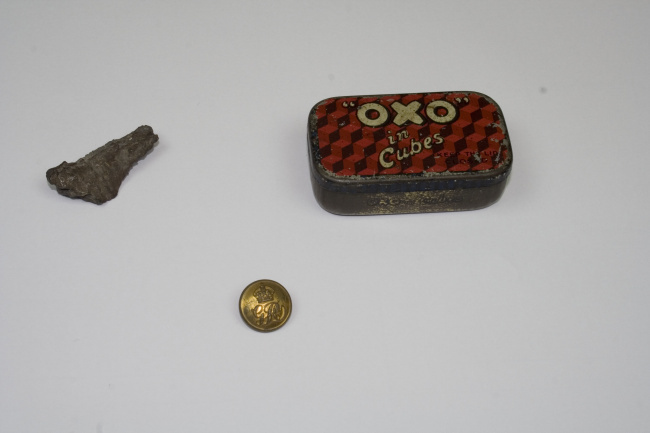 Arthur was a 29 year old jeweller/optician prior to his enlistment in 1915. After arriving in Egypt, he was repatriated back to Australia suffering from typhoid. Following his recovery, he then wounded but returned to the front and was killed in action at Passchendaele in 1917. Lt Hogan is commemorated on the Menin Gate Memorial, Ypres, Belgium with others who have no known grave. Captain John Needham, 2nd Pioneer Battalion, VIC, Australian Imperial Forces. This is a story of a First World War (WWI) optician: mentioned in Despatches by General Sir Douglas Haig, Commander-in-Chief of the British Armies in France for “distinguished and gallant services, and devotion to duty” in the 2nd Pioneer Battalion, Australian Imperial Forces (AIF). Born in 1882, John V Needham enlisted at age 19 in the Victorian (Mounted Rifles) Contingent he served in South Africa and returned in 1902. As a young Boer War Veteran, Needham then joined the Victorian Scottish Regiment and later married, having a son and training to become an optician. He was a practising optometrist/refractionist at Richmond, an inner suburb of Melbourne, before he enlisted as an “optician” in the AIF in late 1914. The term optician in 1914 may have equated to what we would think of as a modern-day “optometrist” including a store front and dispensary. Doing eye testing, cutting and fitting of lenses and offering a section of frames including custom-made styles, all was probably completed and dispensed to the customer at the Richmond building. The professional organisation of Australian optometrists was is its infancy at the time and a search of the Australian War Memorial & National Archive of Australia records for opticians, optometrist or optometry reveal very few WWI enlistment records, except Captain Needham, enlisting with such an occupation. 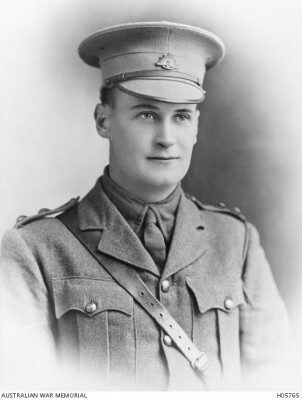 He saw service in Gallipoli and France and was promoted to captain in 1916. Wounded and ill, he was recommended for the Military Cross for his gallantry at Pozieres, but Mentioned in Despatches, his health deteriorated. A report recommended he be returned to Australia in 1916 as unsuitable for active duty, but other medical evaluations determined he was fit for duty. Sadly, it took another three years before he arrived home in Melbourne in 1919. A broken man, he never recovered and was hospitalised because of the trauma of war. He died in Melbourne in the early 1920s. His death was considered to have been directly caused by his service. In addition, Captain Needham received the Queen’s South Africa Medal for the Boer War, all of which are now held in the national collection of the Australian War Memorial. Prisoners of War: They are soldiers, who must have encountered the enemy in close quarters and gone through an individual, and perhaps group, process of deciding to fight to the death, lay down their arms in defeat, exhaustion, injury, abandonment or at the lost of all hope. The encounter, the surrender or capture, for a soldier is, I suspect one of the most gut wrenching feelings a person could be faced with. Perhaps there was a feeling of relief – I’m safe at last: I will rest out my days in a camp and just wait until this awful War to end all wars is over. Some camps horrific, some civilized. But to die in captivity is something that is unimaginable. At times there was kindness in death, but the captors, priests, nuns or a wreath provided by a surrounding occupied town, but largely dying as a prisoner of war in captivity in an unconscionable end to the of a teacher, plumber, a baker, father or a son. It is important to remember them, and restoration of their final place headstones and monuments is important. 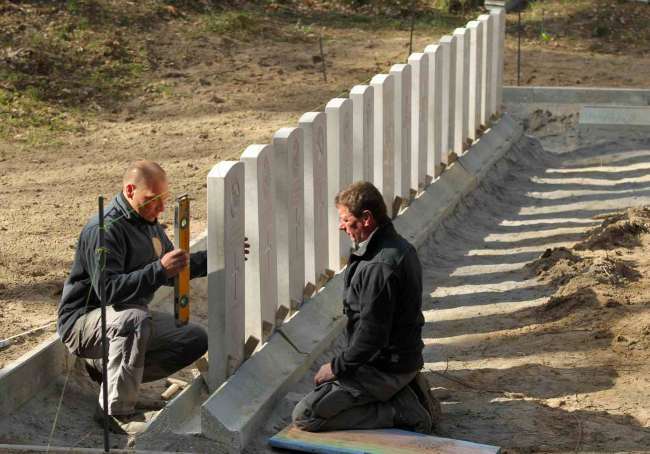 The graves of 39 First World War British soldiers who died at the German army’s Heilsberg prisoner of war camp are to be restored. The graves, at Lidzbark Warminski in northern Poland, were marked with a Cross of Sacrifice and Commonwealth War Graves Commission (CWGC) headstones in the years immediately following the end of the conflict. But, during the 1960s, the cemetery deteriorated and the men’s names were added to the memorial at Malbork Commonwealth War Cemetery. Experts from the CWGC are now restoring the Lidzbark Warminski site, erecting new headstones that have been manufactured in the CWGC’s offices at Arras in France. A number of families of the men have come forward and will be able to attend a rededication ceremony planned for May, at which the CWGC will also install a new Visitor Information Panel.